Kickstarter projects not following up on promises isn’t new. The FTC getting involved, as they did with this one, is. The board game creator settled for $111,793, though he can’t actually pay it. The Doom That Came to Atlantic City hit Kickstarter in May 2012, looking for $35,000. The Lovecraftian board game soared on the crowdfunding service, and eager players backed the project to the tune of $122,874. It was supposed to ship to backers in November 2012, but months and months went by. Soon, it was well past November 2012. 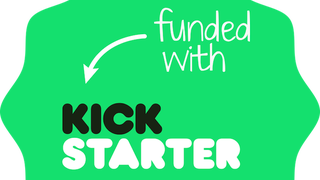 In July 2013, more than a year after the Kickstarter had finished, creator Erik Chevalier announced it was being cancelled. Chevalier promised refunds would be sent to backers and he’d update people as it happened. That last line hasn’t come to fruition for many projects. Chevalier didn’t exactly start refunds ASAP. Updates were slow, and it seemed Chevalier was trying to buy himself time. Backers considered reporting the project to the Oregon Department of Justice. This prompted Chevalier to proactively plead his case, prior to any action taken. The rest of the update attempted to explain why the project fell apart, how previous financial failures in Chevalier’s past weren’t relevant, and promised more backer refunds were coming. He blamed PayPal’s systems, but claimed to be working on a solution with the company. People started becoming concerned his move from California to Oregon was funded by the campaign. In the last project update, published in late July, Chevalier said the project’s highest backer had been refunded his $2,500, and said he was working his way down through the various tiers. He also bristled at continued accusations about financial intermingling with previous companies. That was the last update. It’s been nearly two years. This is where the FTC comes in. What happened here is a fear many consumers have when they back a crowdfunding project. That doesn’t mean he’s going unpunished, however. Under the settlement order, Chevalier is prohibited from making misrepresentations about any crowdfunding campaign and from failing to honor stated refund policies. He is also barred from disclosing or otherwise benefiting from customers’ personal information, and failing to dispose of such information properly. It’s not much, but it’s something, and may serve as a warning to future crowdfunding creators. There’s a somewhat happy ending to all of this, however. The rights to the game eventually changed hands, and Kickstarter backers were individually contacted to receive a free copy. The Doom That Came To Atlantic City is available to buy on Amazon right now, as it turns out.